Pantone Welcomes Jesse Reed To Our Designer Portfolio! Those paper chips that have been tucked away in envelopes, glass jars, wallets, cups, forgotten files, now have a new home. Introducing Pantone Chip Savers! Designed by Jesse Reed, Paper Chip Savers are now available in all Pantone chip products including Solid Chips and Specifier & Guide Set. Originally from Youngstown, OH, Jesse studied design at the University of Cincinnati’s College of Design, Art, Architecture, and Planning. Since graduation, Jesse has lived in New York City working at the Museum of Modern Art, Pentagram Design (working for Michael Bierut), Parsons New School, Standards Manual, and most recently at Order, a partnership he founded with another Pentagram associate, Hamish Smyth. Q (Pantone): What inspired you to create the Paper Chips Saver? A (Jesse): Developing the Pantone Chip Saver came out of pure necessity. Having worked in a handful of design offices as an intern, I was exposed to the common headache of efficiently storing torn out Pantone Chips. I stored them mostly in envelopes that were then taped inside the covers of Pantone books. I also had a small jar of chips in my desk drawer, but as you would imagine, it wasn’t very easy to find the right color. Q (Pantone): Was there a moment of inspiration that you recall and can share? A (Jesse): In 2011, I was at my first full-time design position and going through the same issues of finding a Pantone Color that had an entire row missing from a book. It dawned on me that there was a very logical solution to retaining the chips—small pockets of rows and columns. I researched plastics manufacturers that made similar products, drew a very simple design, got samples, and I released the product on my own three months later as the Chip Slip. When I teamed up with Pantone, we modified the design so that it would fit within their existing set of color management tools, and the result was the Pantone Paper Chip Saver that Pantone customers can now use themselves. Q (Pantone): At the time when you started developing Paper Chip Savers, how did you normally use Pantone Chips? A (Jesse): At the time I was working at MoMA, and we had to do a lot of color matching to original artwork. We were always searching for really bright and striking color combinations—we ran out of the neon sheets very quickly! 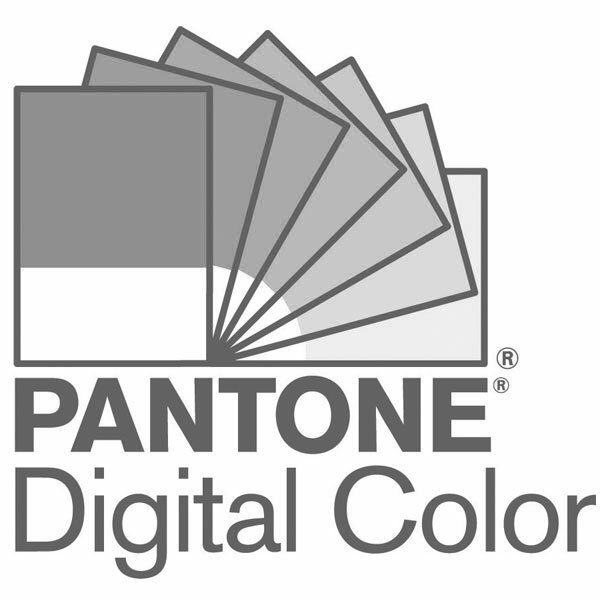 Q (Pantone): Why was it important to save your Pantone Chips? A (Jesse): We were using the same brand colors so often that the sheets or rows would run out very quickly— I suspect that would be the case with most in-house departments. Even though we tried to hang on to them, they were often taped to proofing sheets and never seen again. This became a real problem. Q (Pantone): Do you regularly work with other Pantone Products? In what way? A (Jesse): The majority of my work at Order, and previously Pentagram, involves choosing color for brand identity projects and specifying brand guidelines —the Pantone Color Bridge has been my best friend. In regards to the archival work we do at Standards Manual, our books rely heavily on accurate color matching from documents that were designed over 40 years ago—without Pantone we’d have a much harder time archiving these. Q (Pantone): What does Pantone mean to you and what are the benefits you experience when using Pantone Products in your workflow? A (Jesse): I see Pantone as a tool that’s essential to finish the job. Selecting a specific Pantone color actually comes at the end of our branding projects, and we’ll make a final decision when the guidelines are being written. Now that we use computers so often to generate the work and also show clients, we’re often matching a PMS color to RGB. But I’ll confess, I’m actually really bad at selecting a color from random—I usually stick to black, white, and 185! Q (Pantone): You’ve created quite a few other products in your professional career. Of which one are you most proud? A (Jesse): The Standards Manual books that I publish with Hamish Smyth are really special to me, and essentially what got me to the next level in my career. It’s taught us a lot about the publishing industry, as well as archival and historical preservation work. The fact that a small side project turned into a full time job has been really rewarding. Q (Pantone): What other types of new projects are you working on at Order that you can share? A (Jesse): We’re doing a lot of fun things—designing a monograph for a very well-known design office (to be revealed soon), a photography magazine, an identity for a digital audio product, and one of my favorites, helping a company who has developed a new braille alphabet. We’re surprisingly doing a lot of print work, which if it isn’t obvious by now, we love. Q (Pantone): What types of services does Order offer and how should someone contact you there for more information? A (Jesse): We love designing new identities for companies, but our ability to work on everything from identity, to signage, to books, to apps is what keeps the day-to-day work exciting. We try to follow Massimo Vignelli’s mantra (one of many): if you can design one thing, you can design anything. So, we’re trying!